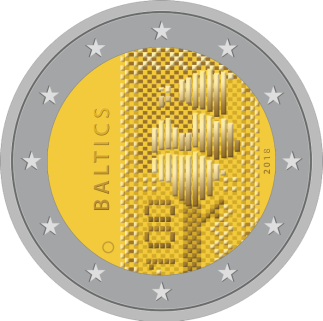 The online vote for the design of the two-euro coin dedicated to the 100th anniversary of the Baltic states ended on 5 April. 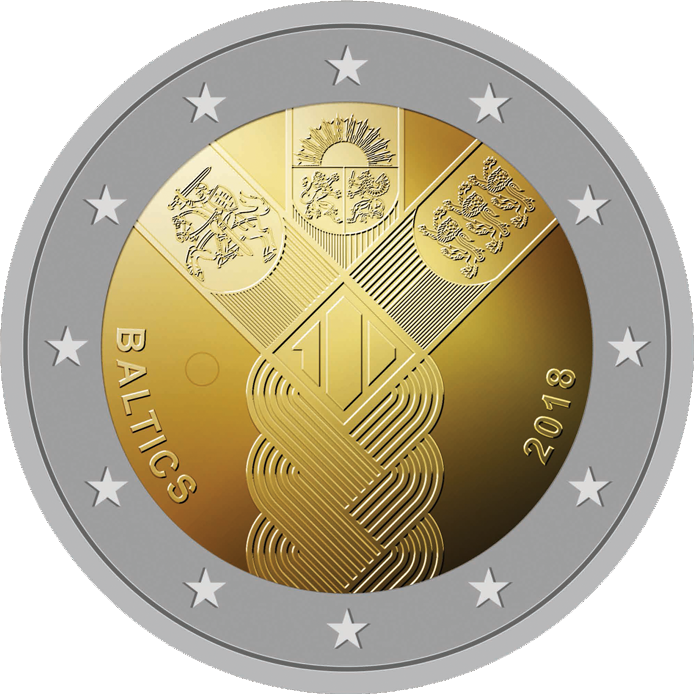 The winning design received 30% of the votes and depicts the common past, present and future of the Baltic states as one single braid. 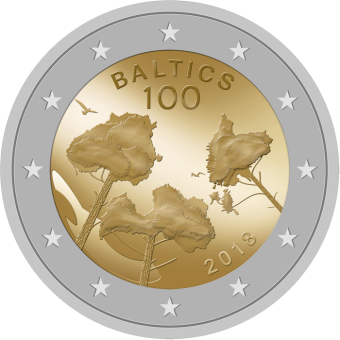 The creator is young Lithuanian designer Justas Petrulis, who designed a coin for the first time. 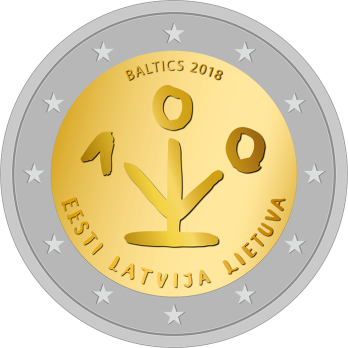 The winning design will be on the two-euro coin issued by Estonia, Latvia and Lithuania, but the word “Baltics” will be replaced on each coin by the name in the national language of the country issuing it, Eesti, Latvija or Lietuva. During the two weeks of online voting, 14 302 votes were received. People from every continent except Antarctica voted for their favourite design. Alongside voters from Europe were others from Japan, Australia, Argentina, Canada, India, Morocco and the United States. The vast majority of 93% of the votes came from the three Baltic states, with 36% of the votes coming from Estonia, 32% from Latvia, and 25% from Lithuania. Before the winning coin is minted, the next step for the design will be to pass the approval procedures at state and European Union level. 100 prize winners were chosen at random by an independent online program in a draw from among all the participants. The prizes are three coin cards for the centenary two-euro coin, one each from Estonia, Latvia and Lithuania. The central banks will contact all winners at the email addresses they entered when voting and will kindly ask them to confirm their postal address within two months of receiving the letter notifying them that they have won the prize. The prizes will be given out after the coins are issued in early 2018. The online vote lasted from 21 March until 5 April and participants could choose their favourite design from amongst six designs, after each central bank had entered two designs for the vote. The identities and home countries of the designers were kept anonymous during the vote. Each person could vote only once. After voting, each voter had to confirm their choice by clicking on the link that was sent to the email address which has been registered on the website. Only those votes which were confirmed by email were counted in the end result. The three small Baltic states will be celebrating their centenaries in 2018: Lithuania on 16 February, Estonia on 24 February, and Latvia on 18 November. 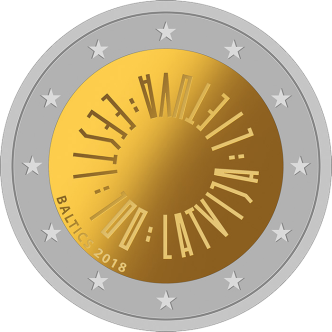 The central banks of Estonia, Latvia and Lithuania will issue a specially designed two-euro commemorative coin into circulation in early 2018 to mark the anniversaries. The coins will be valid as legal tender throughout the euro area. The small Baltic states have been constant in their defence of their independence, and within a short period 100 years ago, each one became a free and democratic country. Independence was regained again at the start of the 1990s. Estonia, Latvia and Lithuania have stood up for their shared values and have worked together to maintain their independence, freedom and sovereignty. 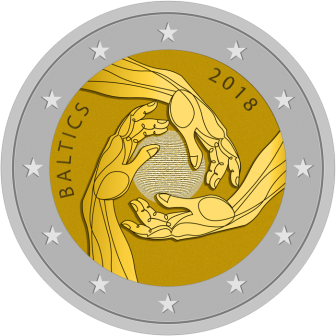 The two-euro commemorative coin to be issued marks the shared history, values and efforts of the three countries and will act as a reminder of those values to the people of the rest of the euro area.